To come with a petrol and diesel engine. Honda Cars India's next major launch will be that of the new Honda Jazz premium hatchback, which is announced to launch in the country this financial year. 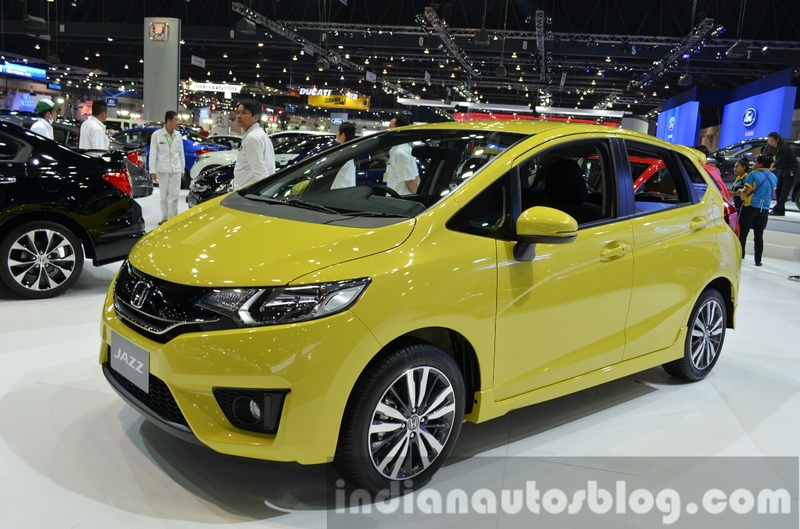 Showcased at the Auto Expo this year, the Jazz will be making a comeback to India, and this time Honda plans to competitively price the hatchback thanks to increased levels of localization. The Jazz is available in many Asian markets, and will come to India this financial year. The Jazz would launch with a petrol and a diesel engine. The petrol engine in question is the 1.2-liter i-VTEC four-cylinder which makes 88 PS and 109 Nm of torque, matched to a 5-speed manual transmission. The diesel engine will be Honda's EarthDreams 1.5-liter i-DTEC motor capable of 100 PS and 200 Nm of torque. Based on the same platform as the new Honda City, the Jazz (showcased at the Expo, and sold in international markets) borrows its dashboard from the larger sedan. So expect the top-end variant to be equipped with features like touchscreen automatic climate control, integrated music system with USB, AUX-in, reverse camera, Bluetooth, steering mounted audio controls, electrically-adjustable and folding wing mirrors, and possibly even rear AC vents. The Jazz shares its dashboard with the new City. Honda Cars India operates two manufacturing facilities located in Greater Noida and Tapukara. The Jazz will be made at either one of these facilities.